In the 2400 you can fish the flats for redfish in the morning and then venture offshore for an afternoon chasing tuna. The Blazer Bay 2400 is one of the largest and most versatile bay boats available with a wide 8 ½ foot beam and a 25” transom. Regardless of what Mother Nature throws at you the 2400 will deliver a smooth and remarkably dry ride. 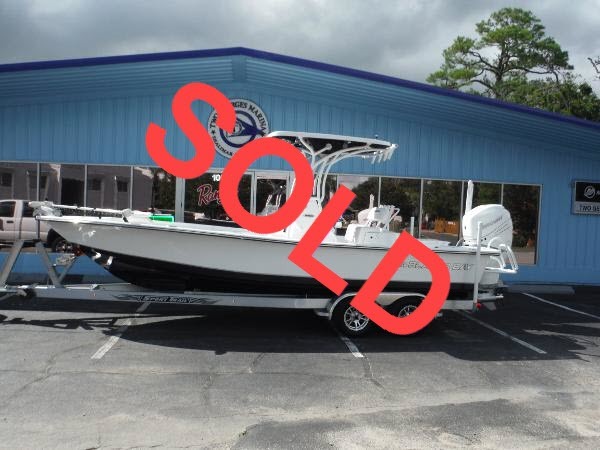 You’ll have plenty of room to fish from the giant front casting deck and spacious interior. Compare the standard features with any other rolled edge 24 foot bay boat and you’ll see that nothing else holds a candle to the 2400. If you’ve been searching for a single boat that can do it all, you’ve found it in the Blazer Bay 2400.